I originally heard of Grit during a conference discussing leadership in membership organizations when someone shared this Ted Talk from Angela Lee Duckworth. 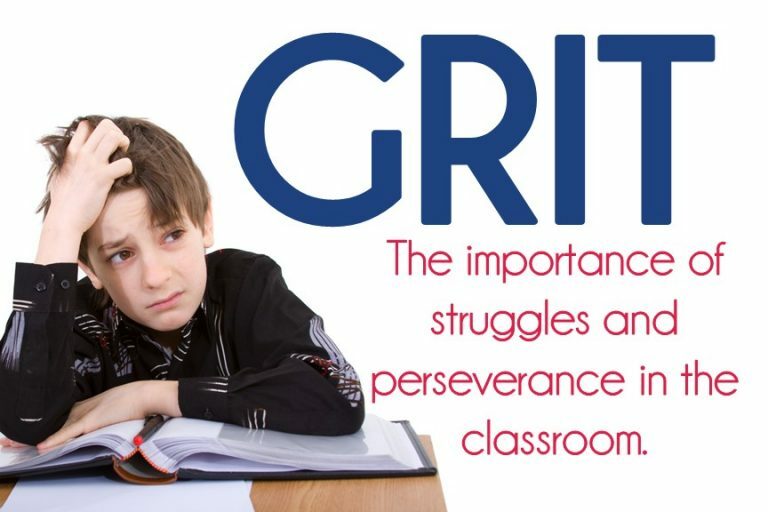 I immediately thought of my students and how grit was an important part of the work we do each day as educators. As a former teacher, Duckworth wanted to see what kept students engaged and successful with school. And what she said made so much sense. In education classes in college I was always told to encourage students for their effort, instead of their performance. And I don’t think any of us are oblivious to the fact that many teacher-pleasers work hard and give a good effort, and aren’t always just the smartest kids in the class. But it’s made me think more in depth about who I am as a teacher, and about grit in general. Grit is hard to define in just a couple words. It’s that perseverance that you see. That strength that allows people to overcome difficult times. That allows them to rise above. That je ne sais quoi (thank you Google for understanding my very un-French spelling of those sounds to give me that spelling) that makes someone like Michael Jordan go from not being chosen for his high school team, to being one of the best professional basketball players in history. It’s strength, perseverance, stubbornness. Grit. Ask any teacher what they think about helicopter parents, and about society in general, and often the response is that we are coddling children too much, and aren’t letting them explore and experience enough. We’re so quick to swoop in and protect children from experiencing discomfort or struggles. I do my best to offer thinking time, and encourage my students to give their best response. But am I doing enough to strengthen their grittiness? To keep them moving even when times get tough? Am I preparing them for a successful life by ensuring their grit grows? What more can I do in the classroom to help cultivate grit in my students? I’ve often caught myself only calling on the volunteers. Those teacher pleasers. The ones who are always paying attention. What happens to the rest, though? They think they can hang out at their desks, disengaged. They think, “Oh, she’s not going to call on me because my hand isn’t raised.” They don’t think paying attention is important This is often especially true for those kids who struggle. They struggle so they disengage because it’s hard. But, because they’re disengaged and not paying attention, they aren’t learning what they can. And it becomes a vicious cycle. Call on non-volunteers. Use ClassDojo’s random feature, pull sticks, or use some of those great tech options to ensure you’re reaching everyone. If students think they’re going to get called on, they’ll stay more engaged. They’ll volunteer more when they think they know an answer. As teachers, we’re taught to and encourage wait time. We ask a question and then let it simmer in the air a bit before we start calling students to call on, or ask them to share with each other. However, I’ve noticed with myself, that when I call on a student and they don’t know an answer, I choose someone else. Instead, students should be encouraged to spend the time they need to come up with a response. That pressure with everyone watching, and that silence, is often awkward. However, students need to be taught to push through those difficult and awkward moments. They need to be taught to give the best response that they can, even if they need another few seconds to get there. In this age of high-stakes testing we’re always looking for ways to up the rigor on our classrooms, it seems. Close reading, with students interacting with rigorous tasks, is now being taught to teachers across the country. We’re being asked to move away from the leveled reading movement, and give students texts that are much higher than their current reading abilities and scaffold students through it. I have always been a vocal supporter of leveled guided reading and giving students opportunities to navigate their way through texts, however, after hearing Dr. Tim Shanahan speak regarding close reading it makes so much sense. Students need to struggle with difficult texts. They need to develop and utilize strategies like looking for keywords in questions to help them with responses to the text. The same is true in math. I developed my 3rd grade multi-step story problems for exactly this reason. Last year, on our state test, my students seemed to shut down. The questions were hard. And, even though we had practiced story problems many times, they let the test win. They didn’t give their best effort. They looked at it and essentially gave up and didn’t try. So, every day students work through a problem. Sometimes twice a day (once independently and once with a friend), but at least one every day. I want to encourage them to keep trying new strategies. To keep working through it. To be sure they know they can do something, a method, a picture, something, that’ll help them push through. They might not get the answer right, but they worked hard and got an answer. Sure, the correct answer is important, but so is taking risks and building confidence. This is not a new concept, but a great reminder. Students should be encouraged for their effort, and the process of working, instead of just the product. Students shouldn’t just be praised for getting an A, but praised for working hard to get that A. Just as students should be praised for working hard even if they get a C if they’re applying the strategies you’ve been working on. Telling students “I can tell you took your time and did your best” is a great way to praise their effort and their work. Students need to move outside of their comfort zones. They need to be given a pile of material and create something out of it. Whether this is a STEM based activity, an arts activity, or generally just being given large product choices to show their learning, students need trial-and-error to figure things out, to figure themselves out, and to grow. Activities like figuring out which foil boat will hold the most amount of pennies, really help students push through their frustrations, try new ideas, and, often, discover more about themselves. I’ve just ordered this book by Paul Tough and look forward to reading it and get more insights on grit. With that said, I’ve found biography information that states that he is an author, but I can’t find any educational background. I’ll continue looking for additional information from Angela Lee Duckworth as she furthers her research on grit. If you’d like to read more, here’s an article from Scholastic’s Parent & Child, Edutopia, the New York Times, and NPR. Not everyone buys into the Grit mindset, and some valid points are made. Here’s an article that is from The Washington Post, that has value in its concerns. While we want to encourage students for their effort, and for continuing to persevere through struggles, we also don’t want to be in a society where every child gets a trophy for showing up. Students also need to see that sometimes their best isn’t good enough, and that’s okay. We also need to teach students the value in recognizing when trying new things, rather than sticking with something that isn’t successful, is also okay, and is beneficial. What are your thoughts on grit? As far as calling on children whose hands aren't raised – I know there can be varying camps, on this one, in terms of how people think about this. I want to defend doing this….I think you can do it as long as you set up a positive culture of risk taking. I tell my students over and over and over and then some more that there are no "WRONG" answers…sure, we know some answers aren't correct…but the fact that you've taken a risk, gave an incorrect answer, you just helped us LEARN from your answer…so it was WRONG it was RIGHT in so many awesome ways and we're proud of risk takers in our class. Know what I mean? I just love this post to bits and pieces because of how hard it makes a teacher think…I could keep commenting…but I'll stop! HA! Wow! Thank you for the parent perspective. As a non-parent, but as a teacher, I often feel like I can empathize with parents but of course I don't completely 'get it'. I love the research I've done on this and it's truly made me think about some things. As far as the calling on non-hand-raisers, it truly can go both ways. I never call on a kid I know will not know the answer at all. But often those incorrect answers let me see what's going on in their heads, and how they're processing. I often tell my kids "Thank you for trying and participating" even when the answer is wrong, so publicly commend them for an attempt and putting themselves out there.